National Volunteer Week (April 6-12, 2014) is a special opportunity for folks to engage with their community and help their neighbors in need. It’s also an annual celebration of all the wonderful volunteers that make a difference in the lives of so many. We love our volunteers so much that for us, every week is National Volunteer Week! But we never pass up a chance to recognize the meaningful work of our Food Bank volunteers. Because the truth is, we couldn’t do it without them! 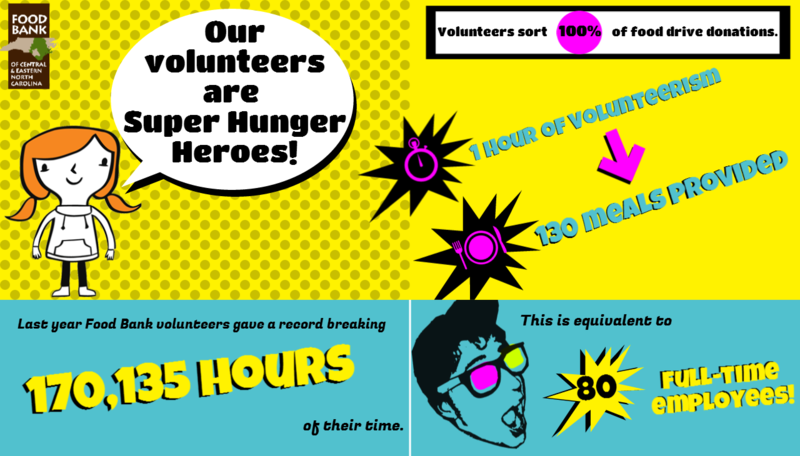 This year, we celebrated National Volunteer Week with a new way to recognize our volunteers in real-time: the #helpie. You may have heard of the popular “selfie” (or perhaps you have taken one yourself!). Well, we wanted to take the #selfie, which is all about you, and turn it into a #helpie, which is all about helping others. Because isn’t that what volunteering is all about? When you choose to volunteer, you break away from your own life to make a difference in the life of another. It is this transformation that causes change and makes an impact on the community, on the lives of the over 560,000 individuals struggling with hunger in our region. Plus, it’s super fun. 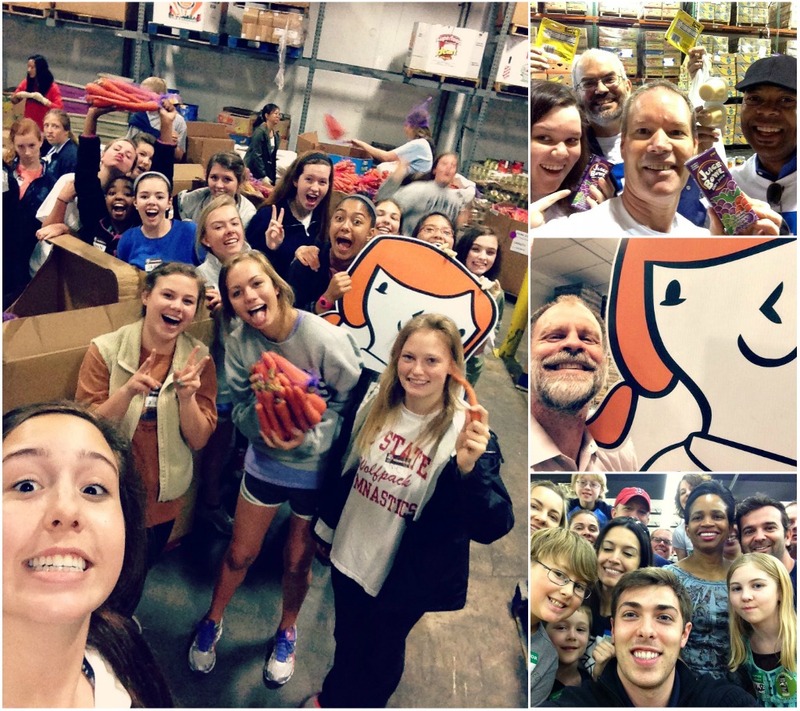 Next time you’re volunteering at the Food Bank, take a photo, post it to social media and use the hashtag #helpie! To view more helpies and other photos from National Volunteer Week, check out our Flickr Album. Our volunteers more than double the work of our staff. They breathe extra life and compassion into the work we do every day, and enrich our community for generations to come. And for that, we are eternally grateful. On behalf of the Food Bank and those we serve, thank you all for your generosity, leadership and service! And remember, next time you’re volunteering, take a helpie! 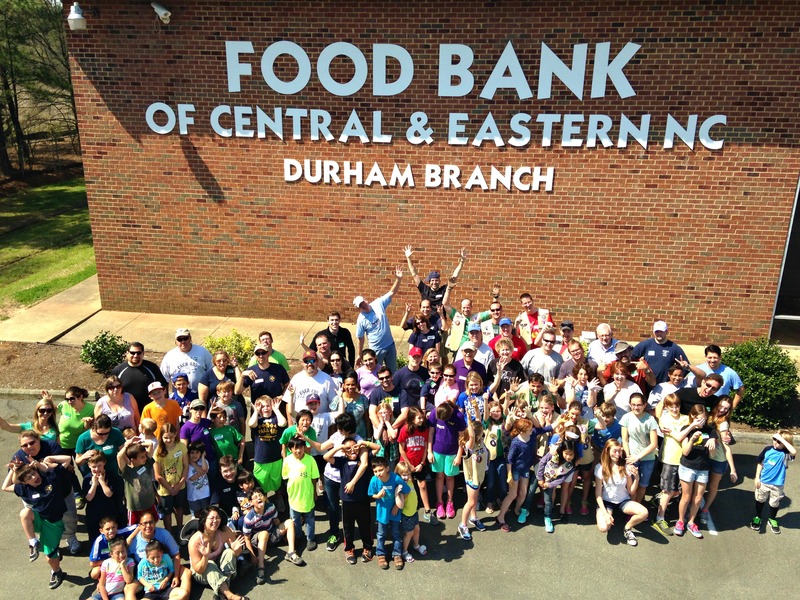 An epic end to National Volunteer Week: Kids Day at our Durham Branch! Remember: Share your #helpie with us on Facebook or Twitter! View more photos from National Volunteer Week 2014.